In March, 2012 PACE highlighted the difficulty faced by Education Minister John O’Dowd when Michael Gove announced a move away from modular GCSEs, which had been discredited and devalued over the years as a result of grade inflation. 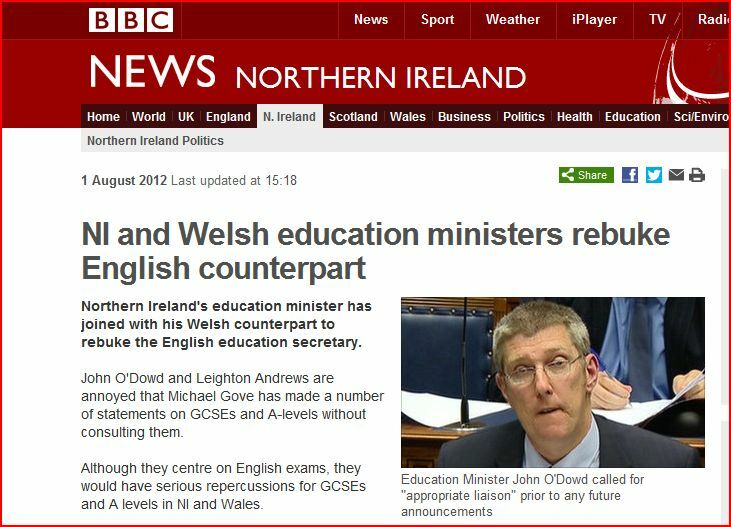 Michael Gove moved decisively to bring about change but John O’Dowd rejected outright the proposals for Northern Ireland pupils thereby potentially relegating CCEA qualifications as inferior should the pupil be transferred to an English school or apply to a mainland university. 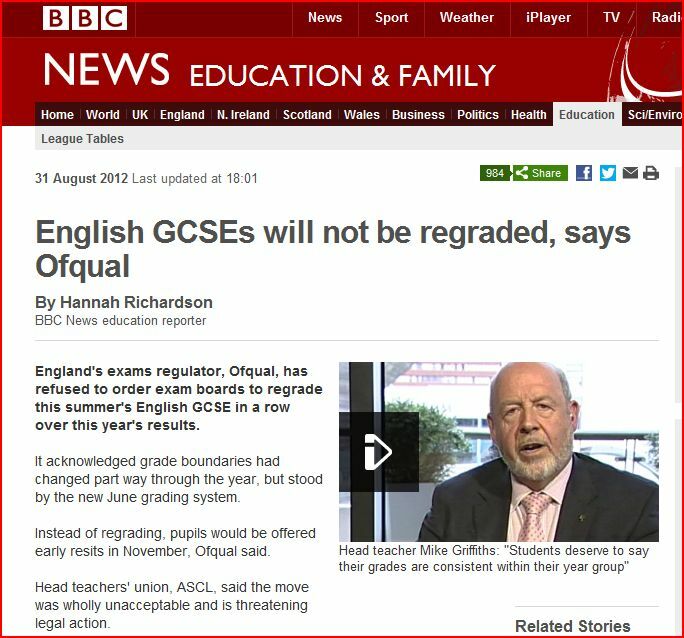 In October, 2012 after realising that serious repercussions would become a reality for N. Ireland pupils, highlighted by the latest GCSE exams blunder, Mr O’Dowd announces his solution – a review by CCEA. Readers will recall that CCEA is led by Gavin Boyd, the pending chief executive of the Education & Skills Authority but current chief of CCEA and the Belfast Education & Library Board. CCEA is hardly best placed to conduct any review of the examination system since it it also the regulator. The regulator is responsible for ensuring the quality and standards of the examinations system. No doubt the predetermined outcome of any CCEA review will allow Gavin Boyd to position himself as the leader of a world class 21st century education system.